It’s fun working on electronic projects on your own. Whether it is repairing a broken electronic item or building one from scratch. Either as a hobby or for a school project. This is DIY (Do It Yourself) electronics and no matter how small it is; it is always useful to have the necessary equipment. What Do You Need To Build Your Electronics Minilab (Your Work-Space)? When it comes to buying equipment for your electronics lab, it is important that you do not buy all the equipment you saw in a “how to set up an electronics lab” article. Instead, start with the very essential ones. In my experience as an electronics engineering working on personal and school projects, the most important equipment that I always need is a Digital Multimeter. Why Do You Need A Digital Multimeter? I think you already know this. Electronics is all about current, voltage, and resistance. You have to know how much current or voltage is present across even the simplest of circuits. Resistance is also a very important parameter. You need a Digital Multimeter to read these values (and other values like frequency etc.) accurately from your circuit. This is to know how your circuit is performing in relation to your design and expectation. One of the most common reasons a DIY’er needs a multimeter, is when they are working with microcontroller. The Arduino microcontroller is by far the most common microcontroller that electronics DIY/hobbyists end up needing a multimeter for. The EEVBlog-Brymen BM235 Digital-Multimeter is the best Digital Multimeter I’ve used. Not only was it designed having all the awesome features that you’ll need for your fun project, but it’s also very cheap for so many amazing features. This Multimeter is your best shot if you are looking for a one-in-all Multimeter that contains all the needed functionalities that you need in your work. BM235 is also designed with features that you might not need now, but will surely find useful in the future. So you’re covered for now and the future with just this Multimeter. The BM235 has the following amazing features. • High-quality fuses in the current jack. • High-quality needle-shaped silicone test leads. • 2xAAA batteries so you are set for a long hour of work without thinking about your Multimeter going out. • Outputs true RMS values. This will give you the true root mean square values of your AC readings. • Very compact and small. Only 160mm x 80mm (6.3in x 3.1in). • Microamps range of current reading. • Autosaves your last configuration. • Very fast continuity testing with backlight signal. • Comes with a blue holster that makes it stand firmly on your workbench. Rugged enough to stay firm while you work. From using this Multimeter on electronic products, these are some of the advantages that the BM235 provides that you will not find in other brands of Multimeter. At least, not for as low as what this one is sold for. • The backlight display comes in very handy when working at night or in poorly lit corners or areas. Sometimes we like working with the main lights switched off, right? • It is completely safe to use. It is built with internal electronics protection and an external ruggedness protection. • The Rock solid built enclosure gives you the freedom of easy and care-free handling as you go about working on your project. Once in a while, your multimeter will fall. With the BM235, you do not have to fear for any damages. • The very fast continuity test signal comes in handy in speeding up your work. The backlight on the LCD dials up on continuity. This comes in handy in very noisy places. • The very loud buzzer sound also comes in handy when you’re working in very noisy places. • The frame and stand are designed to fit properly on your bench and a super great feeling while holding it in your hands. You sometimes don’t want to let it go. This will let you work on your project seamlessly with your Multimeter on your hands like your mobile phone. • The setting saving feature saves a lot of useful design time that would otherwise be used in resetting the multimeter to a configuration you often use. If you have a setting that you use often (like current or voltage ranges), your settings are saved every time, so you do not have to go through the stress of resetting. • You do not have to fear to blow up a fuse if you plug the probes incorrectly, because It beeps if you have the probes plugged in improperly. • The microamp range of current measurement lets you measure even the smallest current or voltage in your circuit. This allows for more precise measurement and troubleshooting. • Very cheap. This is the cheapest Multimeter you will find having all these features cramped in one very handy device. Only one disadvantage is noticeable with using this Multimeter. The LCD display angle is pretty limited. If you look at it from the top, the display will disappear. But this is a no-brainer since most times the meter will either be flat or be on the stand while you look at it head on or from below. So there are minimal chances of ever looking at it from the top. The only time it is not readable is when it is at extreme angles. Who works with a Multimeter like that on his table? The BM3235 has all the features that you’ll need working on your project, put in one very handy Multimeter sold for a ridiculously and unbelievably cheap for the above benefits. Its excellent performance is seen in its 4.7 out of 5-star rating on Amazon. Users are clearly finding it super fun and satisfying using it on their projects. You’re missing out if you do not have one for yourself. Test a Car Battery with a Multimeter. You may not realize, but checking your car battery voltage is important in ensuring that the car is running at its optimal state. 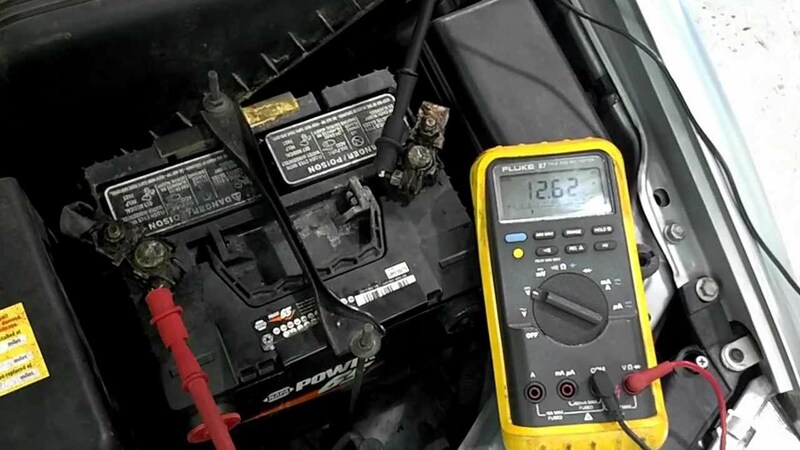 While many mechanics may adopt other unique ways of checking whether the car battery is at its normal 12.6 volts, the use of a multimeter takes precedence. A bad battery may not allow your vehicle to operate as it can be the cause of the check engine light being on the dash, the battery seems to be weak, and the engine is clinking slowly or at times may not clink at all. When the car battery is going bad, inserting the key and turning it on the wrong leads to the battery light coming on the dash. When the car is turned on, the battery light on the dash needs to shut off. A multimeter is one of the dedicated tools in the automotive industry with the capacity of measuring up to 20 volts of current. It is made into something which resembles an OBD scanner with the gauged scales taking most of its screen. A multimeter has two detachable cables jutting from it, with tips labeled negative and positive respectively. Additionally, on a multimeter, you are going to see an on and off adjustment knob for ease of switching on and off and also setting the diverse readings on the voltage scale and resetting it. Multimeters being technical tools need to be carefully used to get the correct measurements on the voltage and resistance. However, using it has always proven to be the biggest headache to most motorists. When you want to test a car battery using a multimeter, certain things are important. Get your millimeter – there are several brands of multimeters made with the desire of the user in mind. That is why you are likely to see diverse designs and colors in the market. Switch off the car engine to avoid cases of electrical shock as this is usually likely if the vehicle is still running. Fix the cables of the multimeter with the negative, which is black on the COM marked slot and the positive, the red cable on the VΩmA area. Check for continuity of the circuit by taking the positive to the negative terminal, let the tips touch. When there is continuity, you are likely to experience a beep with the signal of continuity and a reading of zero on the screen. It is worth noting that when the readings remain at 1 and do not fall to zero or a sign of OL is indicated, and the beep of continuity doesn’t come, the cables or the multimeter may have some problem. Some multimeters may have dedicated continuity test modes, which will display. These are usually easy to use in spite of the fact that battery testing using the gadget does not rely so much on the setting. Switch the multimeter on and set the dials, because the battery is a direct current, adjust the multimeter to DC. Configure the range of reading if voltage or resistance you may wish to have if your multimeter is not set up for the auto range. In our case, set it at 12.6V or lower to get the right reading of voltage. Attach the positive terminal to the positive end of the car battery and the negative terminal of the multimeter to the negative end of the car battery. 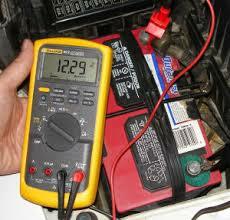 You will have the desired car battery readings displayed on the multimeter screen in volts, for this case, 12.6 volts. Getting the right reading does not mean your battery is good, go to the ignition and switch the car on, if it picks, and doesn’t drop below 10, it means that the alternator is charging the battery. If the core cranking drops below 10 or the standard 7.5 volts, the battery is bad and needs to be replaced. If the testing doesn’t solve the issue, you may need to look at the terminals to check for any sign of corrosion. If corroded, rub with sandpaper to remove the corroded cover to see if the battery will pick now. Other issues may be a foot with your car battery which may necessitate your visiting of the nearest car parts shop for a new battery if you find it to be bad. Make the right choice as the car battery and even other appliances we may have on the automotive are not usually made them work on the alternating current, which is accompanied by a lot of risks. It is, however, advisable that while conducting the testing process, the user still wears protective clothing’s to avert any cases of accidents, arising from shock, which is imminent where the electric current is concerned, it’s that simple. Guest post by Tim Miller. Most electrical technicians already know the importance and benefits of having a multimeter in their tool cabinet. Multimeters save a lot of time by accurately detecting electrical faults. 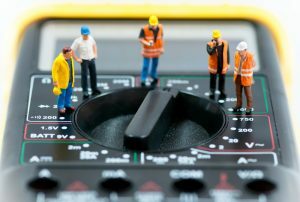 DIY enthusiasts or non-technicians, though, may not be able to fully appreciate the benefits of a multimeter. Find out here about the different types of multimeters and which one will best suit your needs. Usually, most multimeters can measure a wide range of properties such as frequency, inductance, resistance, and conductance. Some of them can equally be used to measure duty circle and temperature. However, the most advanced models are designed with more features. These can measure microamps, decibels and rotations per minute. Others have graphing capabilities and waterproof castings. Multimeters also come with a wide range of accessories such as leads, clamps and probes. Some multimeters even come with product warranties and extra batteries that help them last for a very long time. If you are looking to buy a multimeter, there are different types and brands on the market but they are categorized into two basic types. Multimeters can either be digital or analogue. 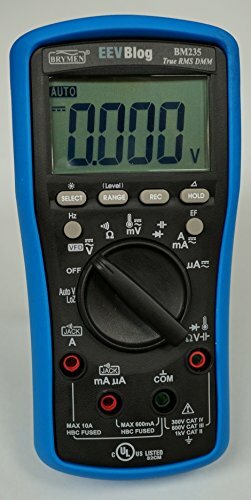 This is the most common type of multimeter on the market today. It makes use of digital circuits which means that it measures current in discrete increments. Analogue meters measure in continuous range of value. The digital meter measurements are usually made in analogue form. This means that it converts from analogue to digital form before any measurements can take place. Because of this delay of conversions, a digital multimeter may not be ideal for measuring values that are changing constantly. However, a digital multimeter is usually more accurate than its analogue counterpart. So, if your main concern in a multimeter is accuracy, a digital multimeter will suit you perfectly. The digital multimeter generally comes with a battery which powers the display. 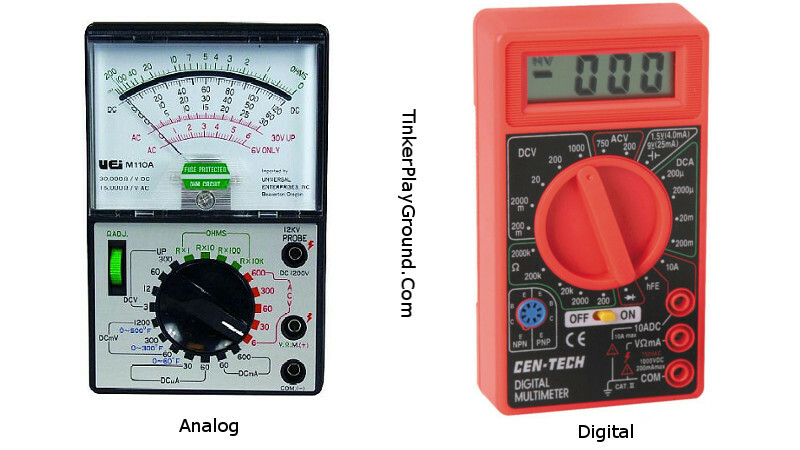 Digital multimeters can be categorized into three basic types: the autoranging, clamp digital, and the fluke digital multimeter. This type of digital multimeter is designed with different collaboration functions. It usually has a large display screen and can be used to measure electrical resistance and voltage. Some equally come with different advanced features which measure duty circle, frequency, temperature, humidity, and pressure. It is one of the most popular types of digital multimeters available. The basic function of this type of multimeter is for measuring the flow of electricity. The clamp feature of the multimeter measures the amps while the probes measure the volts. The power consumption or watts can be calibrated by multiplying the voltage readings by the amps. Another feature of the clamp multimeter is its different types of settings. When using it, you have to pick the setting that is appropriate for what you are measuring. This multimeter is the easiest multimeter to use although it is equally the most expensive of all types of digital multimeters. The central knob of the multimeter has fewer positions and it doesn’t necessarily need to be switched to what is being measured. These are the first types of multimeters that were manufactured before the digital multimeter era. They are usually cheaper than their digital counterparts but are also not easy to read. These multimeters make use of a pointed scale that looks like a needle for their readings. When buying an analog multimeter, make sure that the meter has a high sensitivity because a low sensitivity multimeter may upset the circuit leading to inaccurate readings. When choosing a product, make sure you select the one with the right features needed for whatever you are measuring. The multimeter is an important troubleshooting tool needed by everyone who owns an electrical appliance. You have no need to take every damaged item to the electrician or to a professional. There are certain simple tests you can carry out with a multimeter even if you don’t have much technical knowledge. A multimeter is simple to use and can be used to test voltage, current, continuity and resistance. There are other technical uses of the multimeter but the above purposes are the most common ways in which we can make use of the gadget. Not all multimeters are the same. Each has their specific functions and features so it is important to select the perfect one for the type of jobs you need it for. Think carefully about this. The most important aspect of the functionality of a multimeter is accuracy. For a multimeter to perform its task effectively, it has to be accurate when reading circuits. When it comes to accuracy, you should not compromise it for anything. Usually, a digital multimeter should be the preferred choice if you are simply looking for the best meter in terms of accuracy. They are more precise in readings than the analogue model (although they are more expensive). Do not look at the cost because the benefits in the long run definitely outweigh its cost. 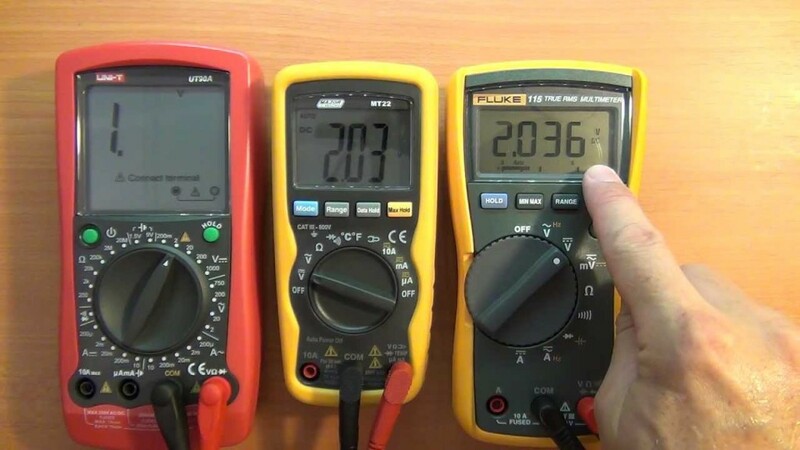 So, whenever you are ready to buy a multimeter, select a product with high accuracy. This will eliminate any risk or error and improve the level of efficiency when troubleshooting electrical appliances. 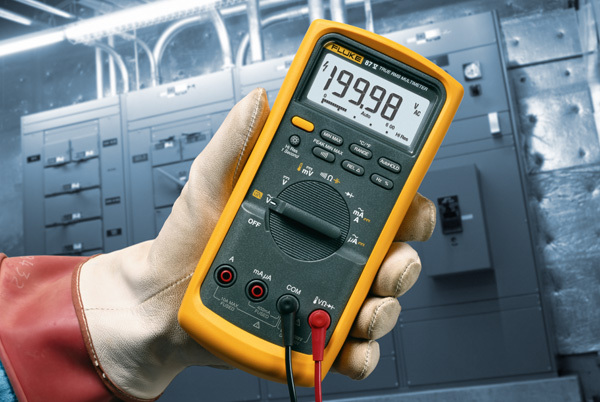 If you are buying a multimeter for commercial use, it is always better to select the one with the most accurate reading. As explained before, there are different types of multimeters and they offer different kinds of features. Some are strictly intended for household use and for troubleshooting simple electrical appliances. Others are for industrial purpose. There are also multimeters that are designed for troubleshooting electrical faults in automobiles. When selecting a multimeter, understand the features it offers and make sure it has all the required elements needed to help you measure whatever you intended it for. If you are interested in more features apart from the usual basic ones on offer, you will need to get an advanced multimeter with additional functionality. This will be a better choice if you need to use the multimeter heavily on a wide range of electrical appliances. The durability of a product is somehow linked to the warranty offered by the company. 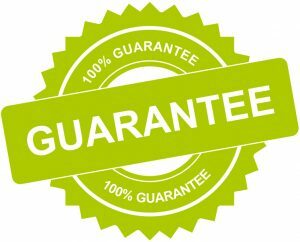 If a multimeter is designed to last for a long time, the manufacturer will surely provide a good warranty on the product. Most high quality multimeters come with a product warranty of more than 2 years. This is one of the areas to look into if you want to select a superior meter. Usually, the best companies provide assurance and warranty to back the quality of their product. Do not consider any multimeter without this product warranty. That is an early indication that you may be buying a poorly manufactured piece of kit. 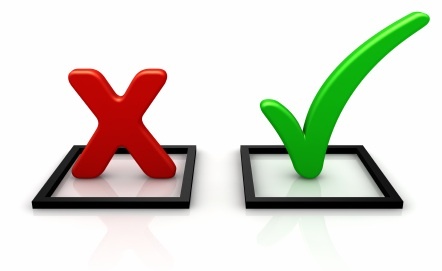 Before you make your choice, it is important to consider customer reviews on the multimeter you want to buy. See what other customers who have actually used the product have written about the product and find out the best you can about the multimeter you are considering. It is always important to pick the right multimeter that will serve you best. 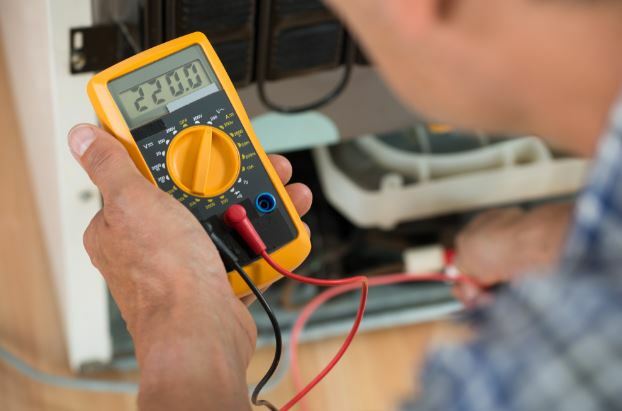 With proper research and an insight into the different features of the multimeter, you will be able to select the ideal one for your electrical troubleshooting tasks.